Red Oak (Quercus rubra et spp.) is the most abundant wood in the eastern hardwood forest, and it is perhaps the most characteristically American one as well. With a bold, open grain and color from wheat-brown to deep pink, it has been a staple of American residential interiors for generations. Our Red Oak is sawn from the lower Appalachian hills of middle Tennessee and Kentucky, where it grows somewhat more slowly and with a more uniform color than south of us. Rift and quartered Red Oak presents a riftsawn, vertical grain appearance with flashes of quartered figure throughout the floor. We offer it both unfinished for a custom stain and topcoat or prefinished in a gunstock stain or natural topcoat. 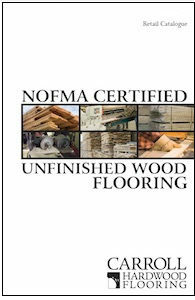 Please download our retail unfinished flooring catalogue from the tab to the right for our latest prices and grade descriptions. 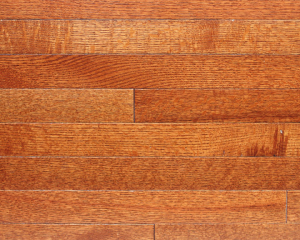 In Red Oak, rift and quartered flooring will contain about 15-25% quartered pieces with some figure. The balance of the floor will have a riftsawn, vertical grain appearance. 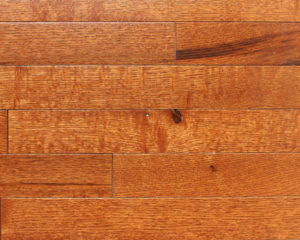 Often a narrow strip of white sapwood will appear down one edge of a piece of flooring, but the floor is predominantly heartwood in colors ranging from light brown to pink to occasionally quite red. Knots are excluded and only the very occasional pin wormhole or small birdpeck may appear. Small streaks of mineral in brown or red are admitted in the grade. The overall appearance is of a clean, relatively formal floor. For those clients who wish a darker, more uniform appearance, this grade is also available in a gunstock stain. 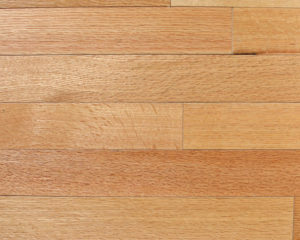 Select Rift & Quartered Red Oak is available in both natural and gunstock colors. 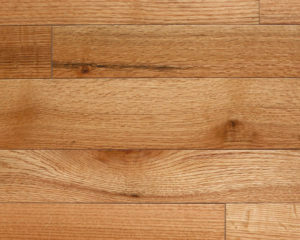 Designed as a rustic grade of flooring, Character Rift & Quartered Red Oak exhibits sound, tight knots no more than an inch in diameter, unlimited color variation, wormholes, birdpeck, small bark pockets, and sapwood that may contain traces of blue or grey. We also offer Character Rift & Quartered Red Oak in a gunstock stain that evens out color variation while leaving visible the natural character marks looked for in rustic flooring.